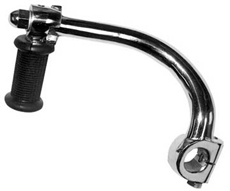 Norton/AMC Gearchange lever with rubber (1956-74). 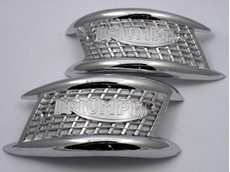 Fits Heavyweight singles and twins with an AMC gearbox, and Norton Dominator and Commando models. Kickstart Crank Norton/AMC. Fits AMC Heavyweight singles and twins, fitted with the AMC gearbox, and Norton Heavyweight singles and twins (pre Commando). Note : Kickstart crank rubber 03-3218 is WW71008. 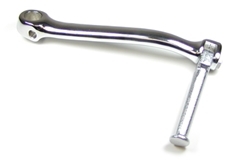 Gearchange Lever to fit BSA A50, A65, B25, B40, B44, C15(BSA Unit Single and Twins), and Triumph T15, T20, TR25 Unit singles models.